The variability of response to antiplatelet agents and its potential relation to the occurrence of recurrent ischemic events have stimulated the concept of antiplatelet therapy monitoring over the last decade. This has been driven further by the development of user-friendly point-of-care methods to assess platelet reactivity to adenosine diphosphate. Large observational studies have established an independent relation between the results of point-of-care platelet function testing and adverse clinical outcomes, particularly in patients undergoing coronary artery stenting. Furthermore, the concept of a “therapeutic window” for P2Y12 receptor reactivity has been proposed, with an upper threshold associated with ischemic events and a lower threshold associated with bleeding. Prospective randomized trials have, however, failed to demonstrate that tailored antiplatelet therapy based on point-of-care assessment of platelet function is effective in reducing ischemic event occurrences. 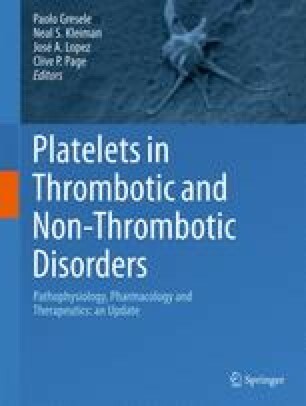 In the absence of robust prospective evidence to support a personalized approach, decisions regarding antiplatelet therapy rest on patient comorbidity, the large body of observational data, national and international guidelines, and recognition of the fundamental importance of platelet physiology in causing catastrophic events in those with high-risk coronary artery disease.